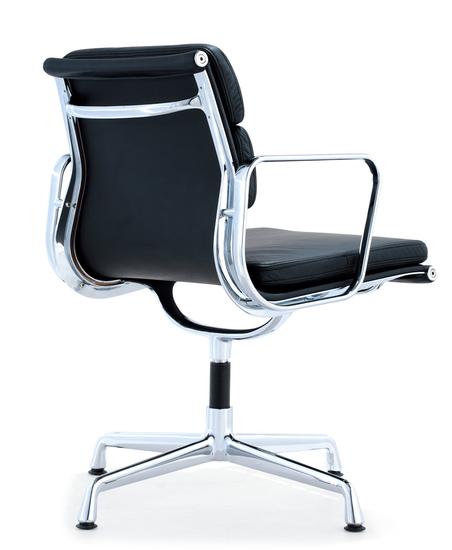 A highly versatile, highly mobile chair for home, office, conference rooms and more. This side chair is made from aluminum frame, and top grain leather seat and back. The Soft Pad Side Chair features plush padding with swivel and glides at the base for working spaces that keep you on the move.